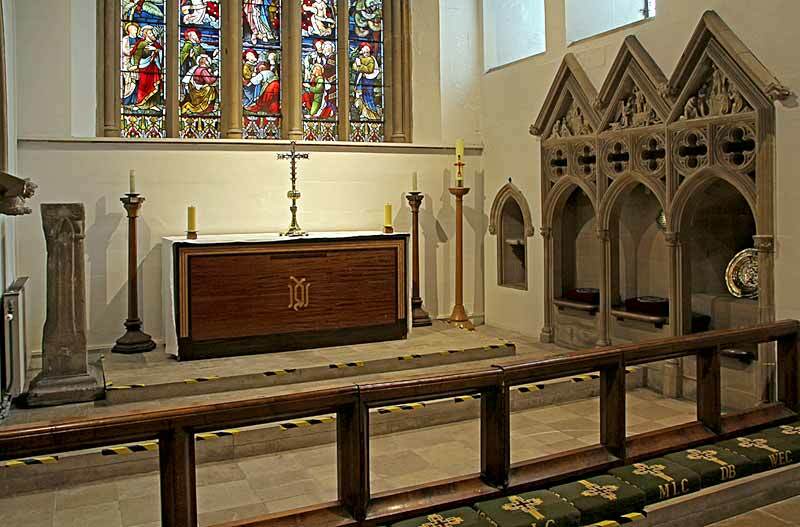 The altar and altar rails are carved out of oak. 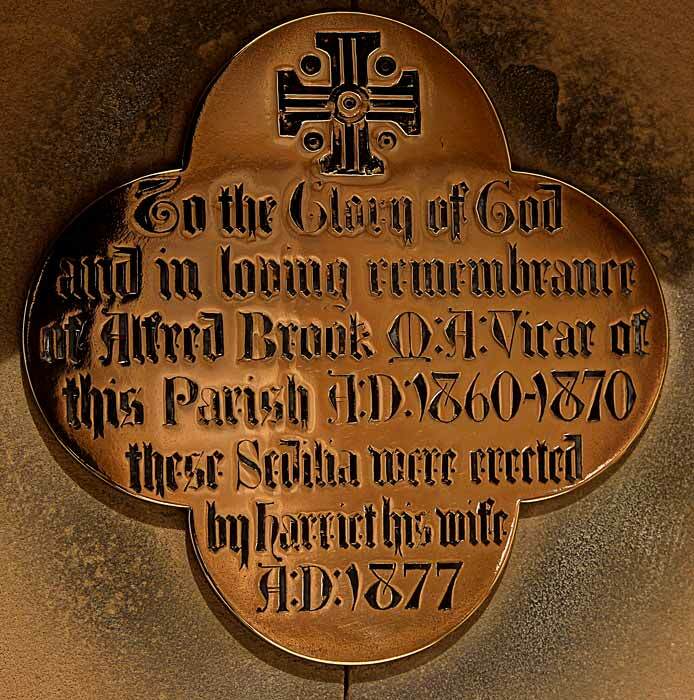 To the glory of God and in loving memory of G. Alfred Clarke. 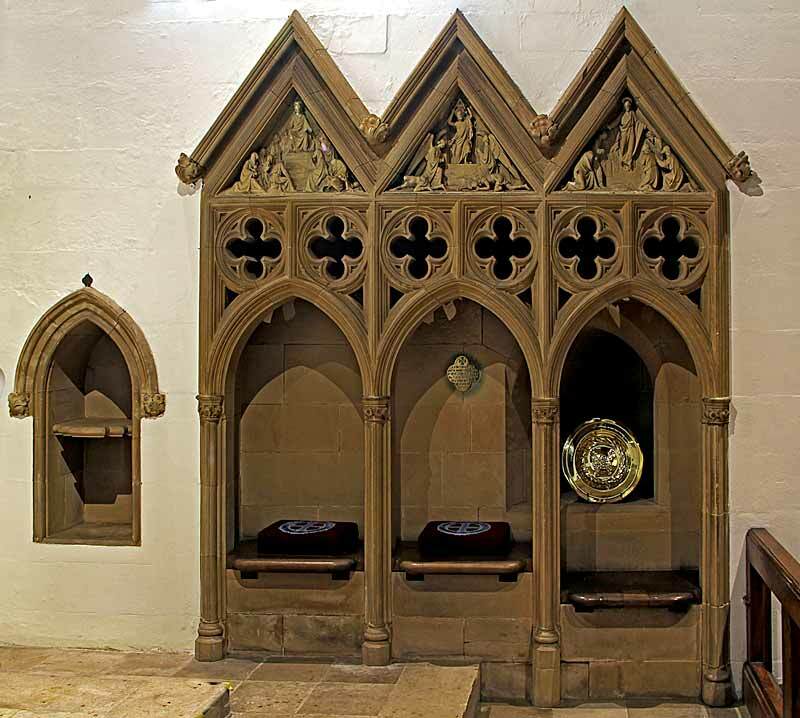 On the south wall are a piscina and aumbry with hoodmould and sedilia dating from 1877. 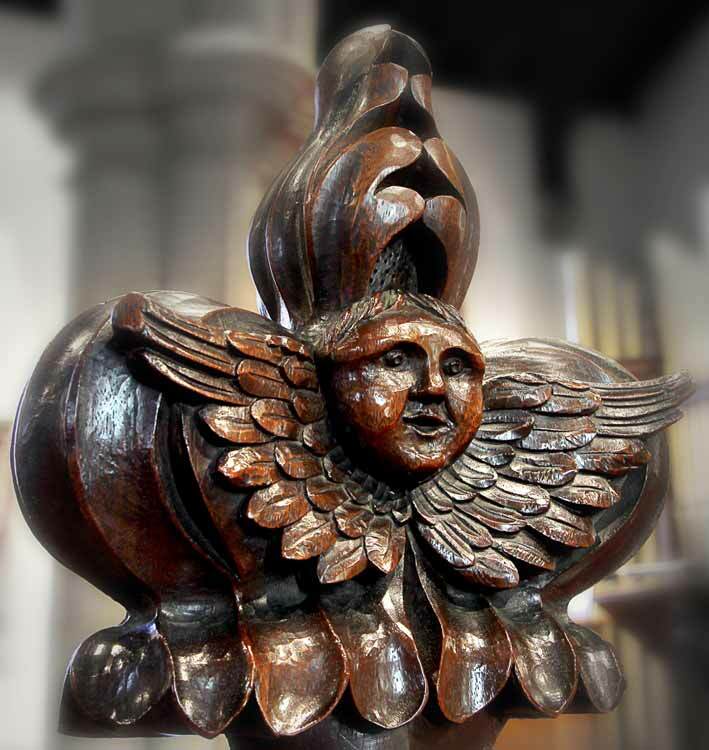 Pillar piscina, found in the grounds of the adjacent Manor House in 1930. 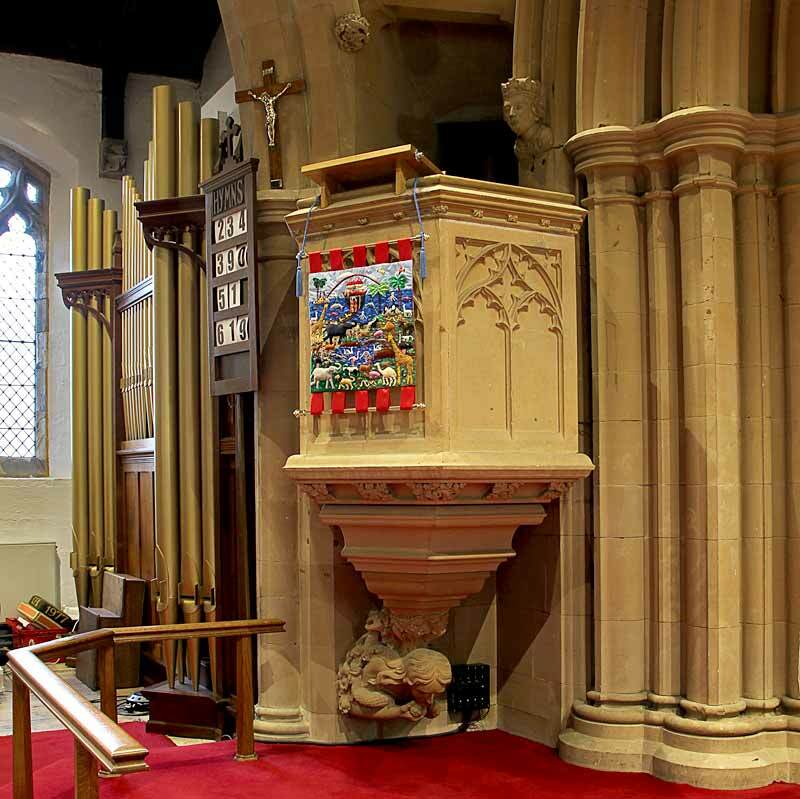 The pulpit is one of the highest in the diocese. 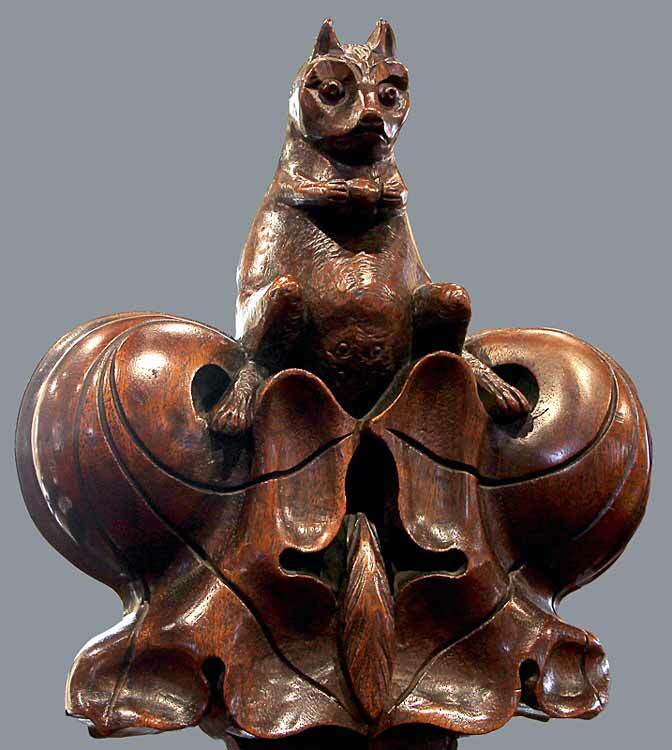 It is octagonal, has traceried panels and dates from the 19th century. 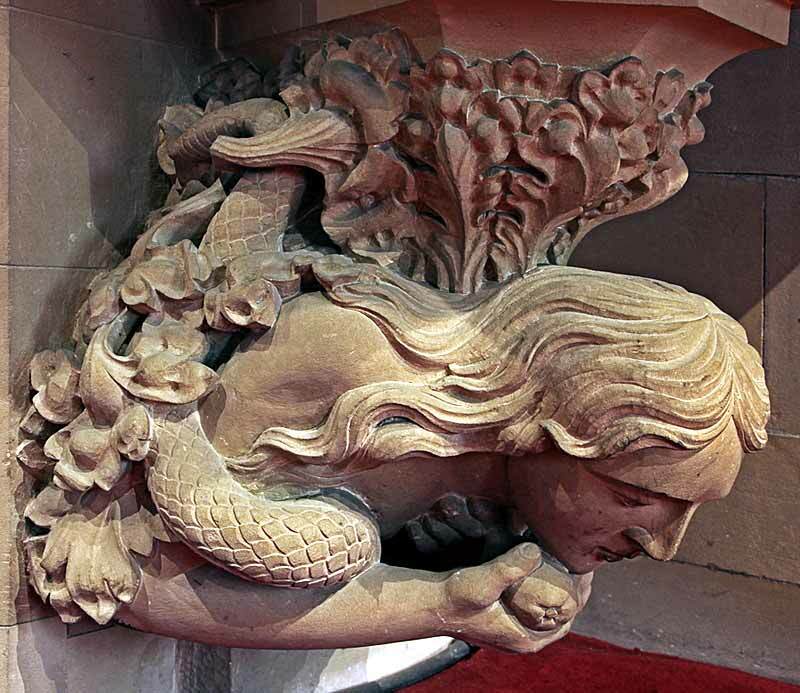 Beneath the pulpit is a stone corbel with a carving depicting Eve eating the apple, with a serpent entwined around her. 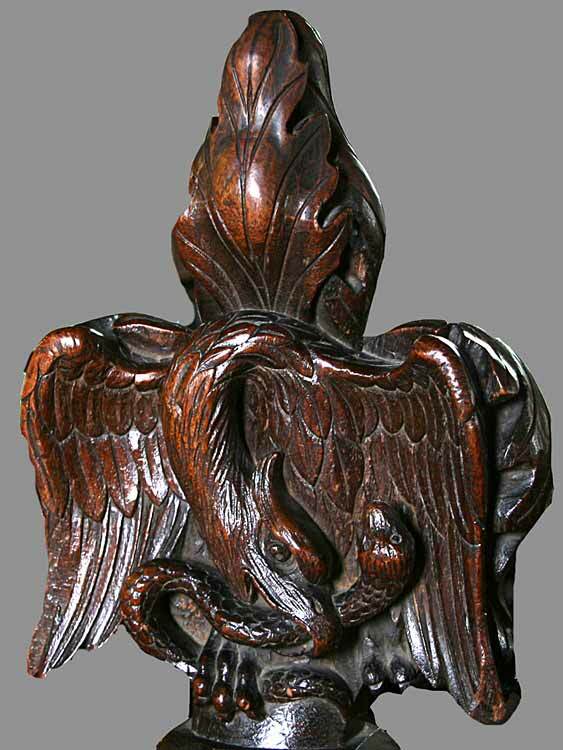 The wooden lectern, to the side of the chancel, was given by Mrs Need in memory of her son who died at sea. 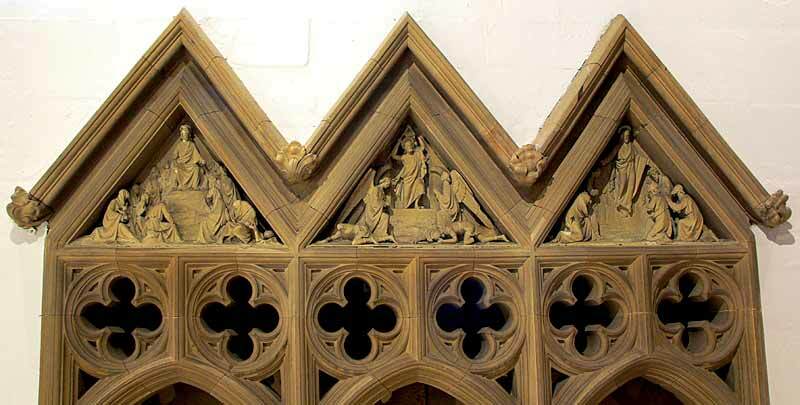 It was vandalised in 1975 and was later restored by Ben Else. 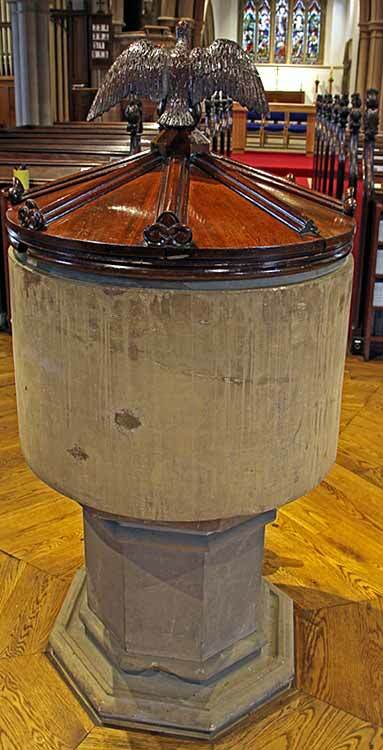 The medieval stone font has a round tub on an octagonal base and is situated at the entrance. 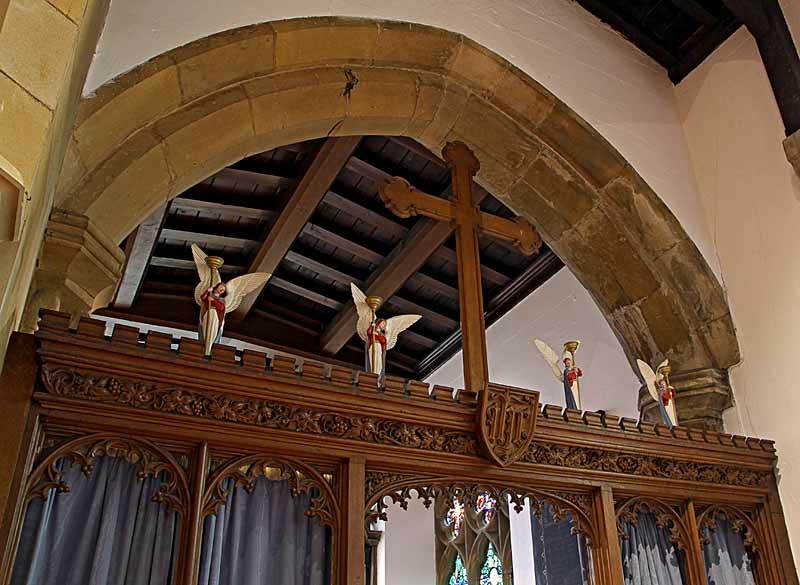 It was restored to the church, having been found early in the 19th century buried in the churchyard. 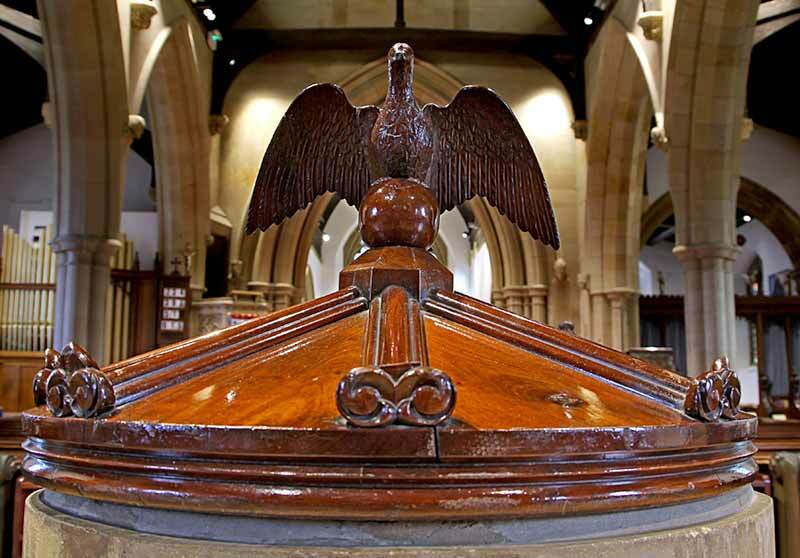 The conical font cover dates from the 19th century. Refacing has removed all signs of age. 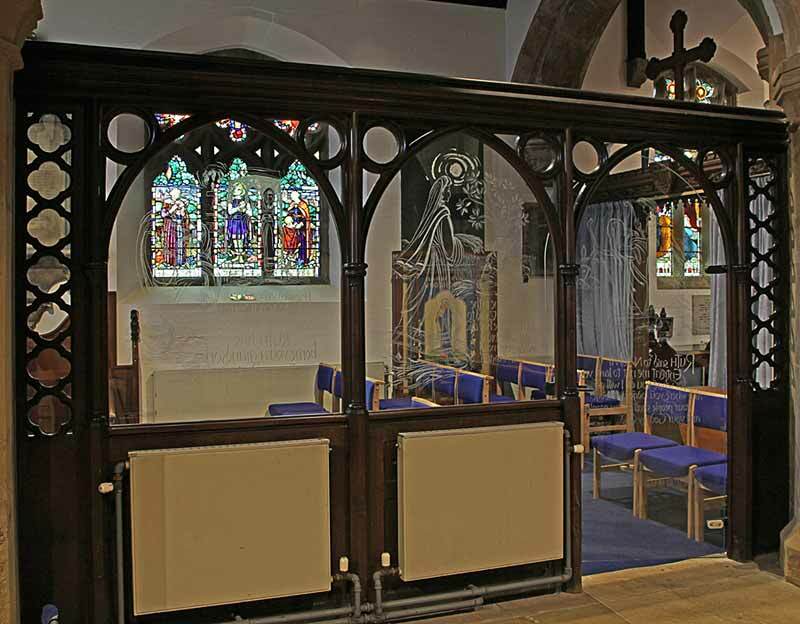 A three-panelled, oak-framed, glass screen, separates the Lady Chapel from the Chancel. 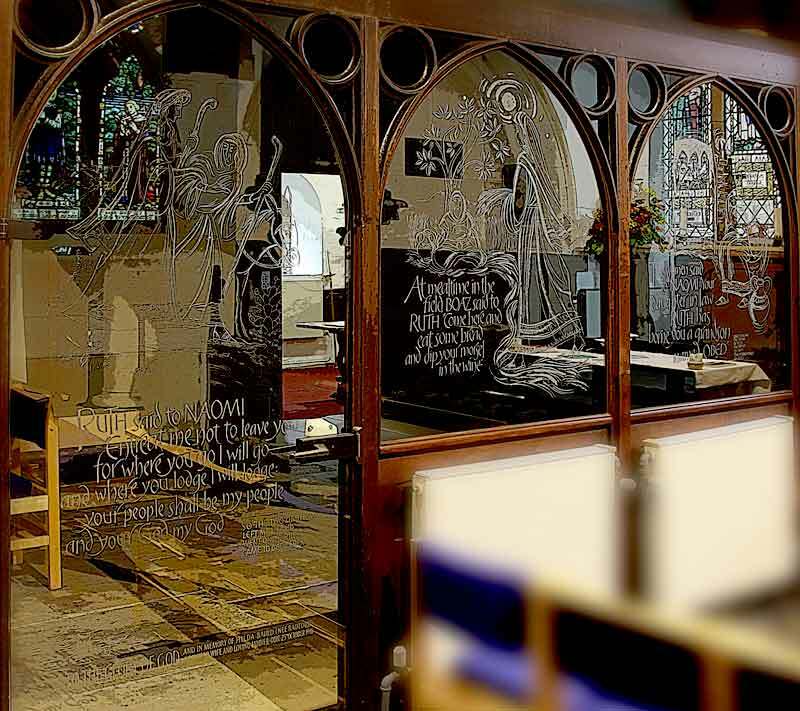 The glass screen depicts the story of Ruth. (So the two of them left Moab). And went on till they came to Bethlehem. To the Glory of God and in memory of Hilda Baird, nee Radford, a devoted wife and loving mother obit 25th October 1988. At meal time in the field, Boaz said to Ruth, come here and eat some bread and dip your morsel in the wine. 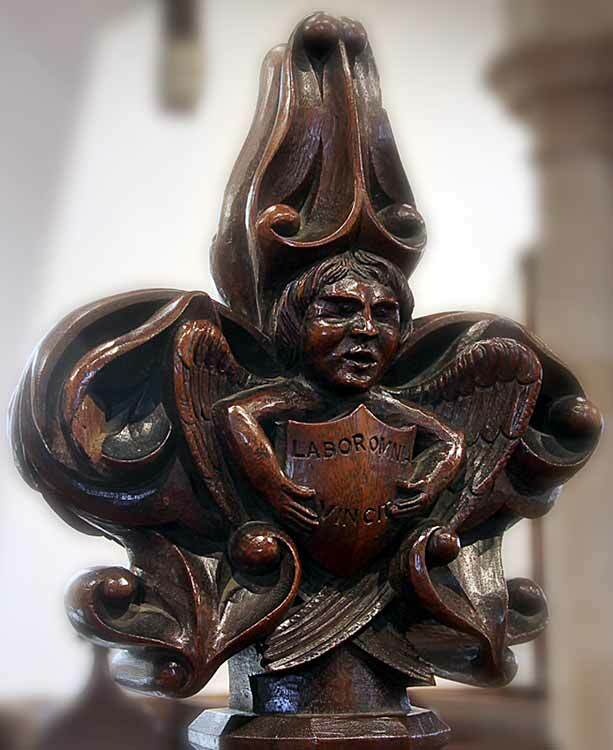 Designed and engraved by David Pilkington 1992. Original drawings by David Kenworthy. Installation by Mansfield Glass and Albert Greaves. 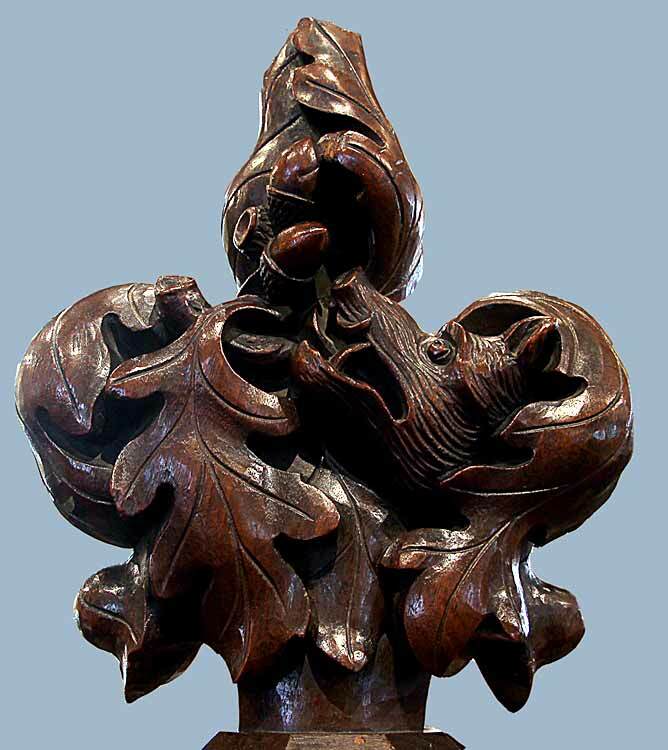 At the entrance to the Lady Chapel is a carved oak screen above which are four coloured carved angels from the original riddell posts. 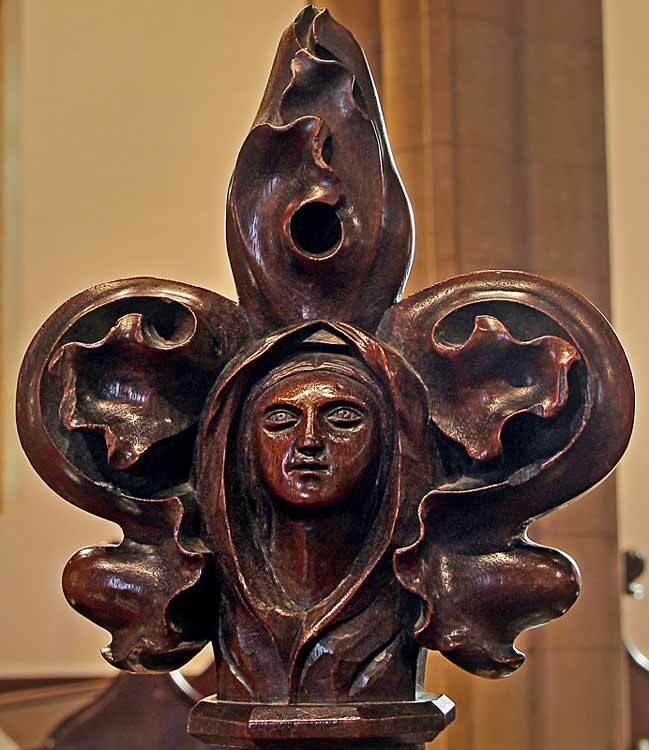 To the Glory of God this Aumbry was given in memory of his wife Alice Louisa Lownds by the Rev John Lownds Curate of Mansfield Woodhouse 1919-1925 and Vicar 1925-1932.